Learne is known as a strategic leader and has a strong blend of skills and knowledge gained in her roles in the government and not-for-profit sectors. With a background in health, mental health, primary care and human services, she is purposeful in articulating the importance of collective impact as a basis for improving outcomes. Learne leads with the premise that complex and ‘wicked’ problems cannot be solved through traditional approaches, nor can an organisation on their own address system fragmentation and increasing inequality. Thus collaboration, partnership and integration are key. She is an A/Adjunct Professor of Health Sciences, holds a Master’s Degree in Public Policy and an Honours Degree in Social Work, is a Fellow of the Australasian College of Health Service Management and a Graduate of Australian Institute of Company Directors. Learne is regularly invited to speak at national and state conferences on topics of her expertise. Simon has more than 25 years’ commercial experience, with his previous roles including CEO of Cystic Fibrosis Australia, general manager of Network Ten Perth and finance manager of Network Ten Perth and Adelaide. He has developed strong skills in all facets of business leadership including strategy development and implementation, sales, marketing, operations, human resources, legal, finance and information systems. Simon holds a Bachelor of Commerce Degree from the University of Western Australia, is a Member of Chartered Accountants Australia and New Zealand and is a Graduate of The Australian Institute of Company Directors. He is the Vice Chair of Breast Cancer Care WA, Treasurer of Cystic Fibrosis WA and a member of the Finance and Risk Committee for John XXIII College. Bernadette has 25 years’ experience in the health sector. She previously worked for Medibank Health Solutions where she was responsible for managing their government and corporate contracts, including telephone, online and integrated care portfolios across WA. She has a track record of working in partnership to deliver innovative solutions to meet population health and local community needs. She holds a Bachelor of Nursing from the Queensland University of Technology. Chris has responsibility for WAPHA’s Strategy and Health Planning portfolio. 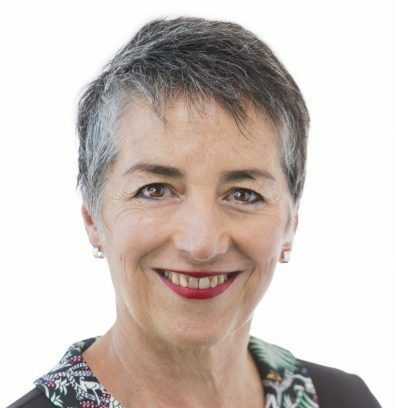 She has extensive experience in the health and higher education sectors, more recently working in health policy and medico-politics with the Australian Medical Association (WA). She holds a BA and MComm from the University of Western Australia. She recently led the primary care policy direction for the State Government’s Sustainable Health Review and is committed to developing strategic partnerships across public and private sectors to better integrate health and social care for communities and individuals across WA. Danny is an epidemiologist, a Fellow of the Royal Society for Public Health and an Adjunct Professor at the School of Psychiatry and Clinical Neurosciences, University of Western Australia. Prior to his current appointment, he held several senior health service executive and clinical research positions, most recently as deputy executive director, North Metropolitan Health Service Mental Health and as director of the same organisation’s Clinical Research Centre. He was clinical professor in the School of Psychiatry and Clinical Neurosciences and the School of Population Health, University of Western Australia and co-director of the same university’s Centre for Clinical Research in Neuropsychiatry based at Graylands Hospital.